And Jaejoong in 7th, Yoochun in 8. If you look closely, EXILE, who was always in the list as well, isn’t there anymore. 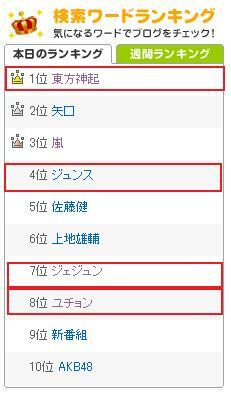 This entry was posted in DTL News Preview and tagged Ameba, tohoshinki, TVXQ. Bookmark the permalink.